The limitation for video calling (and any real time communications service) has always been how many users can really use the service, given the interoperability limitations. As pointed out by former Skype CEO Josh Silverman in an interview at CES last January, when Skype launches a service, such as video calling, it is immediately available to the over 100 million active Skype users in a quarter. Other attempts at video calling services, such as Logitech’s Vid, are limited to either other users of supported Logitech webcams or any third party offering using Logitech Vid software but there was no contact base built up to communicate with. Two or three years ago Rogers attempted to launch a wireless video calling service but nobody had the mobile handsets required to make and receive video calls; the service has at best languished. The launch of FaceTime on the Mac will certainly significantly expand the user base who can experience video calling, even if limited to WiFi or Ethernet connections. So how does FaceTime for Mac work? Download the application from Apple’s website and install it. It will initially ask for an email address to be associated with your FaceTime for Mac. You then are given your own image along with a list of Contacts, which comes from your Mac Address Book. 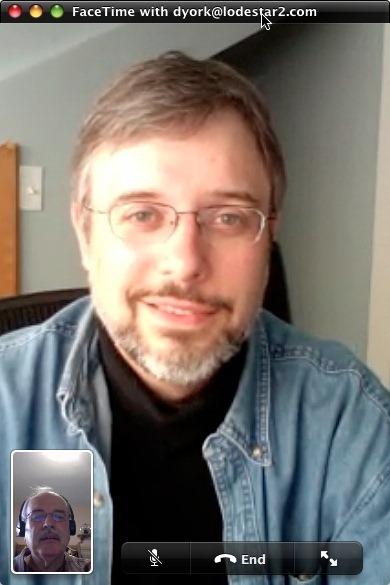 My initial call was to fellow blogger, Dan York, during which I found he could be accessed on his iPhone 4. I simply clicked on his mobile number and the call was made. Dan then associated his FaceTime for Mac with a personal email address and we then made a subsequent MacBook-to-MacBook call. Orientation: on the iPhone you can change the orientation of the image simply by rotating the iPhone where its accelerometer automatically changes the orientation. On the MacBook it is necessary to mouse over your own image and a circular arrow icon will appear; click in the icon and the image goes from portrait to landscape (or vice-versa, as appropriate). Dan has reported on our calls in Hands-On with Apple’s new FaceTime for Mac (Screenshots). He outlines three issues: How do you shut the video off? What about Windows? and the implications for Standards? My own issue is this. 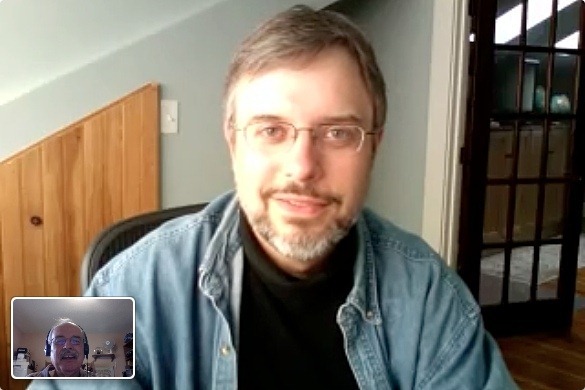 FaceTime is pretty well a stand alone video calling application; it does not even link into iChat. Skype video calling is accompanied by an entire ecosystem of real time communications tools that allows concurrent chat sessions (I always like to ask if someone can take a call), file transfer, or multi-party calling. So it works when the daughter reluctantly wants to show her new braces to her Dad (watch an iPhone 4 TV ad) but there’s no chat session for sending the bill to Dad. Phil Wolff makes some interesting points in Skype beats FaceTime for Mac: 18—13. Can you use other webcams than the Mac’s Built-in iSight webcam? Yes, I subsequently made a call to Alec Saunders using the FREETALK Everyman webcam on the MacBook Pro; it may be my personal perception but I thought it gave a better quality image, but have no evidence as to how this would have appeared at the other end. And, as for the use of your Mac webcam for other video applications mentioned by Dan? I made some more calls that beg to differ with Dan’s thoughts on this; but that’s the subject of a separate post. Bottom Line: FaceTime for Mac will give millions of more users the ability to experience video calling. The market usage is far from saturated and we’ll be seeing ongoing innovation such as multi-party video calling (now in Skype for Windows 5.0) and perhaps more services offering video calling on smartphones. (BlackBerry/RIM – are you following this?). 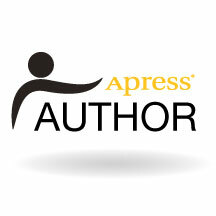 Will we eventually see interoperability? But the bottom line will be how many parties can you call using a service. The race for users has become serious. One certain call: the next version of iPad will definitely have webcam support. An obvious way to add more millions of end points for FaceTime.